Do you like football? Then arrange a football match using this map and add-on. 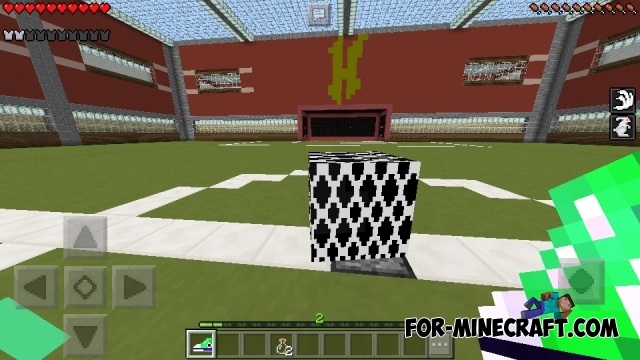 Archive includes a football stadium and an addon to add a soccer ball. The stadium is not large, but it is ideal for playing a small group of people. Football gates have a special mechanism that registers entering ball. You need at least two players for the game, but it will be a real football if you can invite 6 people. Divide into two teams and set the same skins of various colors (eg you can download Popular Athletes skin pack for MCPE). Before the game, go to the locker room where you get set of items. Use them during the game. To kick the ball you just need to tap on it. You can also use different potions, it is not prohibited. Start the game and activate the addon in map settings. 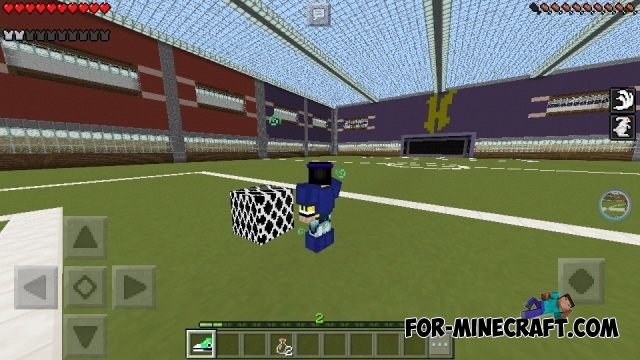 Popular Athletes skin pack for Minecraft PEThe archive contains about 15 skins completely different athletes..